Copperwood Apartments is located near Sheridan Boulevard and 80th Avenue. Being so near to Denver Boulder Turnpike makes it easy to commute to different parts of town. Nearby dining options include Los Arcos, Jim's Burger Haven, and Dae Gee Korean Barbeque. Enjoy outdoor shopping at The Orchard Town Center that has a variety of shops to enjoy. If you enjoy golfing, take a quick drive to one of the multiple golf courses within a few miles. Our apartments in Westminster, Colorado are perfectly located for every lifestyle.  Come and tour our one and two bedroom apartments and see why you will want to make Copperwood your new home.